If you are interested in making a donation to support a specific program, please include that information in the special message field. If you are interested in making a donation “In Honor of,” “In Memory of,” or “In Celebration of” a loved one, please include that information in the special message field. 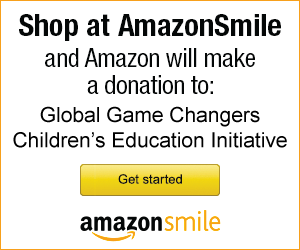 The Global Game Changers is a 501(c)(3) nonprofit organization and donations are tax deductible to the full extent of the law. Every time you shop at any of the 1,000+ online stores in the iGive network, a portion of the money you spend benefits GGC.